It can take the U.S. Department of State a month or more to process your passport application and mail you the completed passport. If you find yourself needing a passport in a hurry, you can apply for expedited processing. For an extra fee, the U.S. Department of State will supply you a passport in half the time it usually takes to process the travel document. The application process itself is the same regardless of the delivery time frame. Download and print the official passport application, Form DS-11, from the U.S. Department of State (see Resources). Complete all applicable sections of the form with a blue or black ballpoint pen. Take two identical color photos for your passport. The photos should measure 2-by-2 inches and should be head shots. Stand in front of a plain white background and face the camera. Collect evidence of your U.S. citizenship. Example documents include a certified birth certificate, a certificate of citizenship or an old U.S. passport. Make a photocopy of the front and back of a current photo ID, such as a state-issued driver's license or a military ID. Take the passport application, citizenship document, photo ID and photocopy of your ID to the nearest passport application center. The U.S. Department of State offers an online directory of official centers (see Resources). Ask the agent to expedite your passport application. Pay your fees. 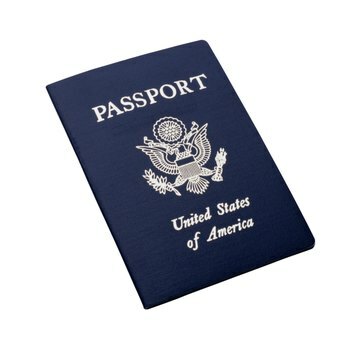 As of June 2012, the fee for an adult's passport is $135, plus a $60 fee for expedited processing. The fees do not include overnight delivery costs. All passport agencies accept major credit cards, checks and money orders. Application facilities, such as post offices, may offer fewer payment options. Call ahead to determine how you can pay your passport fees. Duvauchelle, Joshua. "How to Expedite Your Passport." , https://legalbeagle.com/1701-expedite-passport.html. Accessed 20 April 2019. What Is the Process of Getting a Passport?